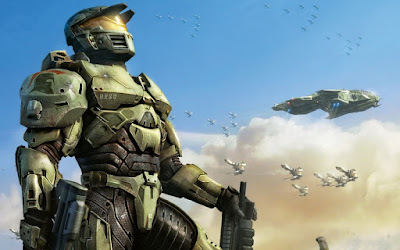 Live-action adaptations of the Halo video game have had their share of ups and downs. For more than a decade multiple attempts have been made with some pretty big names, including Peter Jackson, Neill Blomkamp, and Steven Spielberg. While a digital series starring Luke Cage's Mike Colter and exec-produced by Ridley Scott did get completed, Showtime set forth on a new series that would be directed by Rise of the Planet of the Apes' Rupert Wyatt. Well, it's just hit a significant hurdle as Wyatt has dropped out. Wyatt has directed just four movies in his career: The Escapist, Rise of the Planet of the Apes, The Gambler, and the upcoming thriller Captive State. However, scheduling problems seem to be a consistent thing for him. You might recall he was attached to the X-Men spinoff Gambit but dropped out for the very same reason. Showtime has already begun casting on Halo and will shift their attention to finding a new director in time for production next year.